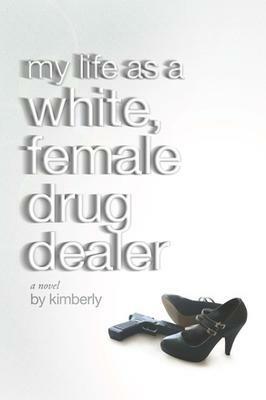 As I finished my latest book, namely; “My life as a white female drug dealer”, I stopped, exhaled and wondered who I just wrote about. The biggest coping mechanism I have, has been denial. This can also be the most dangerous defect of character. It was denial I attempted to feel when finishing my book but I wasn’t able to because it was in black and white, permanently for the world to see how far and how low I let my addiction take me. Rather the lack of living it brought me to. I’ll put a link up. I’m not here to sell books. I am here to share with you that being a drug addict killed me and being a drug addict saved me. I shot dope for a few decades with the track marks and abscess scars to remind me for life. I won’t lie, I loved my cocaine as my world fell apart around me, with no awareness on a conscious level. To sum up my active years as an addict would be to share with you I went to lengths, whatever that meant and the gates of insanity to get high. I had to get high. I needed to get high. Why? So many theory’s exist, I think they are all correct if they work for you. I personally had to be high as long as I was awake to numb my feelings. I could not cope with life any other way. I believe this was in my makeup from trauma and never being taught healthy coping mechanisms. Landing me in a spiral effect the first time I got high. It fixed me and life was bearable. I also believe addiction is genetic and a family disease. Those were the two reasons I got high and joined the criminal forces around me to make sure I kept getting high. It worked for many years. I was able to get high, work, have a family, great relations with my family, golfed, danced, swordsmanship, fencing to name a few. No one was the wiser. There we do with denial again. Of course everyone eventually knew. The reason I know this is because I literally lost everything I loved or cared about. Sick part is that pain was not enough for me to stop. Indeed I was a high functioning addict for a long time, I lived to get high. Then I began having to get high to live. I’ll try to wrap up. When we use drugs we slowly deteriorate first spiritually, then mentally and finally physically. This is how addiction saved my life. Once I entered recovery in absolute truth I began learning and healing first physically, then mentally, finally spiritually. Not religiously, but a level of spirituality I had never known and the reason I am here today. Look if you even have the slightest desire to get clean, talk to someone who’s clean, anyone. There are a guaranteed only 3 outcomes and not knowing when. Active addicts we know end in jails, institutions or death. Be smart, besides you can always go right back to it. My worst day sober is still better than my best day high. Have a safe 24.